Tap this page for Bestway Cement Trainee Engineer 2018 Apprenticeship Training Program. Bestway Cement Limited is the largest cement manufacturer of Pakistan and currently, it is looking for Fresh Graduate Engineers, DAEs, and Matric pass candidates for the Trainee Engineer/Apprenticeship Training Program 2018-19 at its cement plants located at Kallar Kahar, Chakwal, Hattar and Farooqia. The Training Program will be carried in the following fields such as (Trainee Engineer (Mechanical/Electrical/I&C/Production/Mining), Trainee Chemist (Quality Control), DAE Apprentice (Mechanical/Electrical/I&C/Production/Mining/Auto Workshop), FSc Apprentice (Quality Control), Matriculate Apprentice). It is the finest opportunity for those who have no professional experience and looking forward to joining any top reputed company where they can gain professional knowledge to polish their skills and to be a success in the future. So, all interested individuals are suggested to read the eligibility criteria carefully and then apply accordingly as per the following how to apply procedure given below. For Trainee Engineer (Mechanical/Electrical/I&C/Production/Mining) at least 2.75 CGPA in B.Sc/BE from any HEC recognized university and 1st Division in FSc or Grade B in A-levels are required to apply. For Trainee Chemist (Quality Control) minimum, 2.75 CGPA in M.Sc/BS (Hons) from an HEC recognized university with 1st Division in FSc or Grade B in A levels is required to apply. 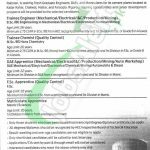 For DAE Apprentice (Mechanical/Electrical/I&C/Production/Mining/Auto Workshop) at least 1st Division in DAE from a recognized institute/board and 1st Division in Matric is required to apply. For FSc Apprentice (Quality Control), FSc 1st Division from a recognized board and Matric 1st Division is required to apply. For Matriculate Apprentice Matric (Science) 1st Division in Matric from a recognized board is required to apply. 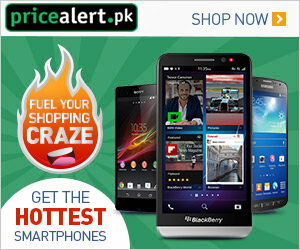 Interested candidates who meet the above criteria may apply online at http://careers.bestway.com.pk. Only online applications will be entertained for the selection procedure and Applications/CVs received by post & through email will not be considered. Result-awaiting and over age candidates are not eligible to apply. Last Date to Apply: October 14, 2018.